Shopify offers the opportunity to millions of people to sell their products online in a quick and easy manner. That doesn't mean that driving sales is an easy task to do. 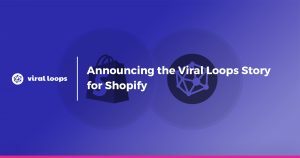 Prompted by the release of the Viral Loops Story for Shopify, I made some research about what kind of other Shopify apps are out there, and how they help people to run their business. After a quick look, it was visible that it's not easy to pick an app out of more than 2,000 entries. 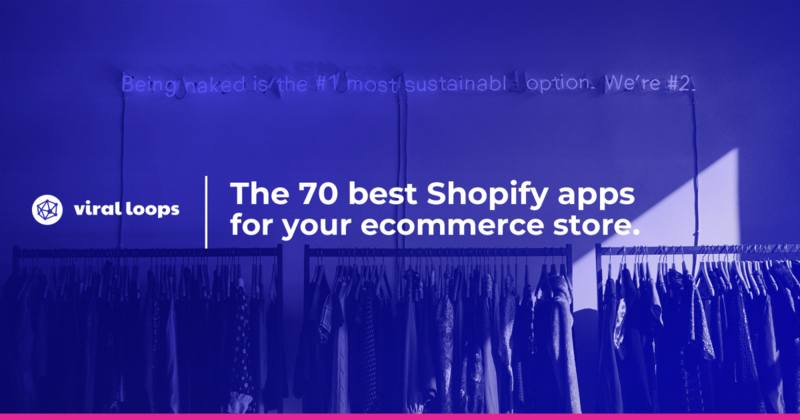 That's the reason I decided to get my head a bit deeper down the rabbit hole and give you the biggest list with the best Shopify apps out there! Connect your Shopify store to Viral Loops and increase your word of mouth sales. Our referral program solution seamlessly integrates with your store, so you can use word of mouth and referrals to grow your store. Product reviews allows you to add a customer review feature to your product pages. This is a great way to encourage sales and also allow your customers to give you feedback. Oberlo is helping people like you to find products to sell on Shopify. Never worry again about shipping, packaging, or holding inventory. Zapiet is Shopify’s most popular choice for offering in-store pickup and local delivery alongside standard shipping through a unified checkout. Parcelify lets you create simple and powerful shipping rates based on address, products, and total weight or price. We are talking about a fully customizable notification bar to promote Free Shipping, Free Gifts or just inform your customers about something. You can easily manage Pre-Orders strategy for each product, variant or for the whole store, with a customize button and description design according to your Shopify theme. You can also limit the number of Pre-Orders, turn them on/off for certain countries. You can target products to edit by collection, product type, vendor, tags, title, and keywords; and bulk edit product's price, compared at price, tags, inventory, title, vendor, product type, weight, description, SKU, SEO, Meta fields. You can get more sales and new customers with automated Facebook ads. RetargetApp combines expertise in advertising with advanced technologies to make advertising easy and efficient. 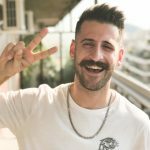 Instafeed is an app that allows you to easily integrate your Instagram pictures in your Shopify Store. That's a great way to engage with your customers and generate awareness for your brand. WhatShare is the easiest way to include a WhatsApp share button in your Shopify store. You can also track what your customers share too, with reports of what links and products are being shared. This app will Tweet at random intervals with a different message, every time you list a new product or publish a new blog post. Metrilo gives you instant ecommerce analytics, powerful CRM and personalized email marketing all in one place, while it automatically identifies sales channels that are valuable to your business. OptinMonster is a powerful conversion optimization platform, and their Shopify app allows you to intelligently target your visitors' shopping experience, to reduce cart abandonment and boost sales conversions. Now you can connect with buyers using professional wholesale catalogs, retail product catalogs, pdf flyers and line sheets created automatically from your Shopify Collections. 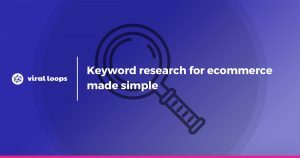 In their own words, Yotpo is a customer content marketing platform that helps brands of all sizes generate and leverage reviews, photos, and Q&A throughout the buyer journey to build trust, drive traffic, and increase conversion. You can create, in seconds, sales by product brand, type, collection, hand picked or even store wide! You can also manually control or schedule sales for holidays, weekends, power-hours. Checkout Hero helps you checkout conversions by incentivizing customers to complete their checkout by sharing their cart on social media in return for a discount, free shipping or a free gift. With this app you can sell products directly on Pinterest with Buyable Pins and a allow shoppers to purchase quickly without leaving Pinterest. With Infinite Options, you can create unlimited product options for any product configurations, and also add personalization, engraving or monograming to any product inside your store. ReCharge has one the most robust feature set for stores selling physical products on subscription. The Pop-Up Window app is an affordable way to add a powerful and professional looking pop-up to your Shopify store, notifying your visitors about sales and promotions or capture newsletter and mailing list signups. With HelpCenter app you can create an easy-to-navigate and searchable FAQs page, publish searchable articles, and let your customers submit questions they can't find the answers to. Turn conversations into conversions and boost up customer satisfaction, by chatting live with customers via Facebook messenger right on your store. Improve sales and cart abandonment rates by displaying trust icons to customers from the product page! Plus, it's completely free! If you're looking for the fastest way to increase your site speed, ranking, and conversions, you can use Crush.pics to compress your store's image files without quality loss. Postmen allows you to print shipping labels and calculate rates with your shipper accounts, and auto update Shopify with tracking numbers and send shipping notifications. This bundle offers the ability to boost social sharing and drive traffic to your Shopify store, increase customer engagement, and sell more by using its 9 apps. This app helps you sync your inventory from Amazon to Shopify, without acting as a middle man between the two accounts. Instead, it pulls your Amazon inventory directly into your Shopify admin section with one click. Now you can eliminate the guesswork of optimizing your website for more sales, through heatmaps, visitor recordings, form analytics, polls etc. The app automatically calculates shipping costs and time, and helps you reduce lost sales due to expensive miss quoted manual rates. Messenger is a very popular platform, and its Shopify app gives you the opportunity to provide a fast, and easy way for customers to buy your products, reach them instantly with messages about their orders, and give them one place to track purchase confirmation and shipping details. This app allows your visitors to ask questions about your products from product pages, which you can answer and post directly on the product page- which may have some great SEO value. Upselling is the perfect way to increase the average basket value of your store, and this app helps you to do exactly that. Kit helps you manage your Facebook and Instagram ads, email campaigns, and social media posts to drive sales and grow your business. This Shopify app makes inventory management simple, efficient, and easy to control by having your stock, warehouses, currencies, taxes and price lists in one system. With Wishlist Plus, you can add smart wishlists in your store and allow people to add products in them without login and share them across channels. All this, while you get rich insights on your customers wishlisted items and site engagement. Great quality and detailed images are crucial for an online store. This app is pretty straightforward; you install it and get a nice zoom effect on your product pages. This app is the way to fully automate your email marketing. You get built-in campaigns and customer segments, drafted & scheduled weekly newsletters, plus the ability to personalize email content to target customers based on their interests & behavior. Covet.pics helps you to curate Homepage hero galleries, automate Product Page ones, or create killer Press pages. You may also automate Instagram or invite your customers to upload their own photos, and run photo contests and grow a community around your products. This app promises to increase sales by notifying customers when products come back in stock. You can sync your Shopify orders to your QuickBooks Online account and enjoy frictionless financial reporting with just a few of clicks. Xporter is a web-based solution that enables you to export your store's data in a customizable spreadsheet format. That's pure gold, isn't it? Popups are an undeniably amazing way to grow your store's email list. With this app you can trigger popups using exit intent, time on site, scroll, cart size and more. A/B test campaigns. You can gain more traffic and sales from Google Image Search with a one-click installation. It's also free, which is more than great. If you want to have Self-service returns on your branded Returns Center, approve and track your returns in a single place and notify customers of returns status, this app is a must. Social Photos provides you the chance to capitalize on the power of visuals and social media by building collections with curated photos from your customers. With this app, not only you get full SEO check and report on your store, but you also receive instructions and code snippets to make any possible fixes yourself. With Social Login, customers can login without having to withstand long onboarding procedures. This encourages them to get into the store and start shopping as fast as possible, thus increases the chance to get more sales. This app is for those that look for a way to increase revenue by turning more window shoppers into paying customers and decrease the number of abandoned shopping carts. SEO Manager is exactly what its name suggests; it manages your Shopify store's SEO. FYI, it's powerfull. Normally when a product inside your store goes out of stock, you would lose a couple of orders before you catch up. I don't think that anybody want this to happen. You add a "Contact Us" Webpage and Popup Contact Form Widget, with responsive and customizable design, to your store in one click. Decrease your customers’ security and privacy concerns and reduce bounce rates with trust seals from the highest rated trustmark provider used by Shopify stores. This is a killer. You can now sell your products anywhere with the Shopify POS (Point of Sale) app and free card reader. Also, you can tap to add products to cart, accept payments, and email receipts, track customers, inventory, and orders with your Shopify account. This app will help you increase your global sales by showing local currencies to your customers, taking advantage of fast Geo IP detection. Sufio automatically creates and send beautiful invoices for orders in your store. Also, it's issue invoices compliant with legislation in 50 countries worldwide. Communication with your clients plays a huge part on increasing sales, and with this app you can talk to your customers even if you're on the move. Reward and incentivize customers with discounts OR Free Shipping for adding more items to their cart. The app makes sure the add-to-cart or "buy" button is always visible in your store, no matter how far down the page your customers scroll. Notifications are a great way to get people again in your store, and this app is able to send reminders of abandoned carts with mobile & desktop notifications and automated notifications for back-in-stock or discounted products. WIth Yo, you can recreate the feel of a busy brick-and-mortar store, as you serve to your customers unintrusive popups detailing recent purchases. Make your Instagram feed instantly shoppable and embed shoppable Instagram galleries and carousels into your store, to increase your sales. Boost your sales with automated Facebook Messenger, Email and Push messages to all cart checkout abandoners. This is the world's only intelligent Messenger popup for Shopify, which allows you to boost your revenue with intelligent product recommendation and convert up to 15% of visitors to customers. Use virtually any data from your Shopify store to send personalized emails, run Facebook ads, and recapture lost sales with automated abandoned carts, browse abandonment and winback flows. Sell more using some intelligent and automated email options: Receipts, Follow-Up Emails, Abandoned Cart Emails, and Newsletters. This is the highest-rated print-on-demand app on Shopify, and you can use it without being bothered by upfront costs, or making manual orders. What are your favorite Shopify apps?